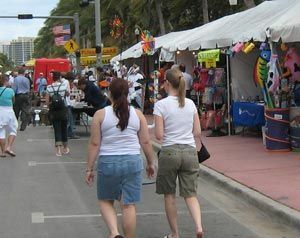 The City of Miami has hosted Many Florida Festivals and Florida fairs. This section keeps information on the most important Miami events each year. If you need to know anything about Florida Festivals, here you will find it! We had gathered the most emblematic annual Miami events, and now you can find past years information and reviews that will certainly give you a clue of what to expect. Navigating through these articles on Florida Festivals surely will allow you to make a decision about which Miami event fits you better.